Keep your skin soft, smooth and healthy for less than your weekly coffee budget. Want to know the secret to staying fresh faced this winter? Ready to ace flawless skin for spring? Visible results in 30-days – or your money back! Guess what we’re carrying with us everywhere? Want perfect skin in time for summer? The Healthy Skin Secrets Hub is owned by Time Inc and sponsored by Cetaphil, a Galderma (UK) Ltd brand. Looking for simple and effective ways to help get the most from your everyday skincare routine? This 3-step healthy skin routine, recommended by gentle skincare brand Cetaphil, will help you protect and care for your complexion in all the right ways. Choose from Cetaphil’s Gentle Skin Cleanser for dry, sensitive skin, or Oily Skin Cleanser for oily or combination complexions. Soap-free, they have none of the harsh detergents that can strip your skin’s natural moisturising oils and cause dryness and irritation. Cetaphil’s Moisturising Cream is clinically proven to rehydrate and prevent moisture loss. It’s non-comedogenic too, meaning it doesn’t block pores. For all-over soft and smooth skin, Cetaphil’s Moisturising Lotion acts fast to provide long-lasting hydration. Want to find out more about how you should be looking after your skin? Winter time means winter skin, so naturally we’re doing everything we can to prep our beauty arsenal for the harshest season. Wrapping up in a cute beanie and scarf is one of the joys of the winter wardrobe, but you run the risk of trapping oil and encouraging breakouts as your woolly winter wear smothers your skin. Not heard about it yet? Everyone we know, from makeup artists to beauty editors to skincare experts, are raving about its gentle formulas, ideal for sensitive skin types, and how refreshingly affordable it is. Cetaphil’s soap-free and fragrance-free cleansers gently remove impurities without drying out your skin – perfect for reducing those pesky sensitivities that can come with a cold snap. Choose from Cetaphil’s Gentle Skin Cleanser for dry, sensitive skin, or Oily Skin Cleanser for oily or combination complexions. With none of those harsh detergents that can unbalance your skin’s pH, strip your skin’s natural moisturising oils and leave a tight, dry feeling; you can enjoy the cleansed feeling and say “ta-ta” to winter dryness and irritation. As the winter breeze picks up, beauty experts often advise us to switch from a light to a heavy-duty moisturiser to make your skin look brighter, clearer and most importantly – to keep it hydrated. Luckily, Cetaphil’s Moisturising Cream is clinically proven to rehydrate and prevent moisture loss – a saviour for wind-burned faces! Just because your arms and legs are in hibernation in the winter months, doesn’t mean they shouldn’t be properly cared for. After all, your future summer skin will be a breeze to handle if you take the necessary precautions now. Cetaphil’s wonderful Moisturising Lotion is light, acts fast and provides long-lasting hydration, for daily maintenance all through winter. Wise words from Cetaphil brand ambassador Caroline Flack, who shares her advice on the importance of removing your makeup after a night out. Enter the #healthyskinsecrets competition for the chance to win a luxury spa break at: www.healthyskinsecrets.co.uk (T&Cs apply). Cetaphil brand ambassador Caroline Flack’s talks about the importance of healthy exercise and how discovering yoga has helped improve her skin. Enter the #healthyskinsecrets competition for the chance to win a luxury spa break at: www.healthyskinsecrets.co.uk (T&Cs apply). Cetaphil brand ambassador Caroline Flack explains why holidays are her biggest luxury, and shares her pre-holiday skincare prep and travel essentials. Enter the #healthyskinsecrets competition for the chance to win a luxury spa break at: www.healthyskinsecrets.co.uk (T&Cs apply). Love Island presenter and Cetaphil brand ambassador Caroline Flack discusses when she had the lightbulb moment of looking after her skin at 30. Enter the #healthyskinsecrets competition for the chance to win a luxury spa break at: www.healthyskinsecrets.co.uk (T&Cs apply). With so many summer occasions to plan for — weddings, festivals, holidays — this is the time of year when we want our skin to look healthy, fresh and radiant. But, as the heat rises, humidity, blocked pores and increased exposure to the sun can all lead to dry, sensitive skin that’ll put a definite dampener on those glam summer plans. Thankfully, Cetaphil is here to answer all our summer skincare prayers. Already a cult product in the US, Cetaphil’s gentle cleansers have been developed by dermatologists to help skin achieve its optimum condition, defending against external irritants and combating the moisture loss triggered by the sun’s drying rays. Soap-free, non-irritating and non-comedogenic (the ingredients won’t block your pores), Cetaphil offers two hero cleansing products to suit all skin types. The Gentle Skin Cleanser — which sells the equivalent of more than one bottle every minute worldwide –trust us, it’s that’s good — can be used with or without water, and is perfect for dry, sensitive skin. It also contains powerful yet gentle moisturising components to help your summer skin stay hydrated. And if your complexion is more combination/oily, the Cetaphil Oily Skin Cleanser will remove any pesky excess oil by up to 60 per cent, without drying or irritating. Perfect for those days when humidity is high, and you want to feel confident wearing make-up outdoors. Lauded by beauty editors and celebrities such as Caroline Flack, these cleansers are so good they are supported by a brand promise of visibly healthier skin in 30 days, or your money back. Plus, priced at £8.99, this is the one beauty hero not about to break the bank. Use alongside the Cetaphil moisturiser for optimum glow. Want to get your mitts on these summer must-haves? Cetaphil is available at Boots, Superdrug, Lloyds Pharmacy, Amazon, Tesco and independent pharmacies. Spring skin is all about refreshing your look – and that means a serious skincare and make-up bag edit. It’s time to shrug off winter and swap heavy bases for light, sheer tints that reflect this season’s more pared-back beauty look. Lilly talks about her skincare journey when moving to London and her best tips and tricks when it comes to skincare. Love Cetaphil as much as we do? Then make a note of this discount code and get £3 off your next order with Amazon. Simply enter the code – AMAZON3 – before you check out and enjoy the healthy skin routine Cetaphil’s range for less! Terms and Conditions: From 24th May 2017, when you insert the promo code at checkout (the “Offer”). This offer ends at midnight on 31st December 2017. The offer only applies to Cetaphil items sold by Amazon at the website www.amazon.co.uk. The offer does not apply to purchases made from Amazon’s Warehouse Deals or from third-party sellers on Amazon Marketplace, even if “fulfilled by Amazon” or “Prime Eligible”. Postage and packing will be applied to each item in accordance with Amazon’s standard delivery rates and policies or the participating third-party seller’s standard delivery rates and policies, as applicable. Each customer can claim up to a maximum of one offer. If an offer is specific to a particular item, then a promotional code or promotional reward can only be redeemed against that item. The offer is subject to availability and may be withdrawn or amended without notice. The offer has no cash alternative. Offer is non-transferable and may not be resold. Amazon’s Conditions of Use & Sale apply. Love Cetaphil as much as we do? Then make a note of this discount code and get £3 off your next online order with Boots. 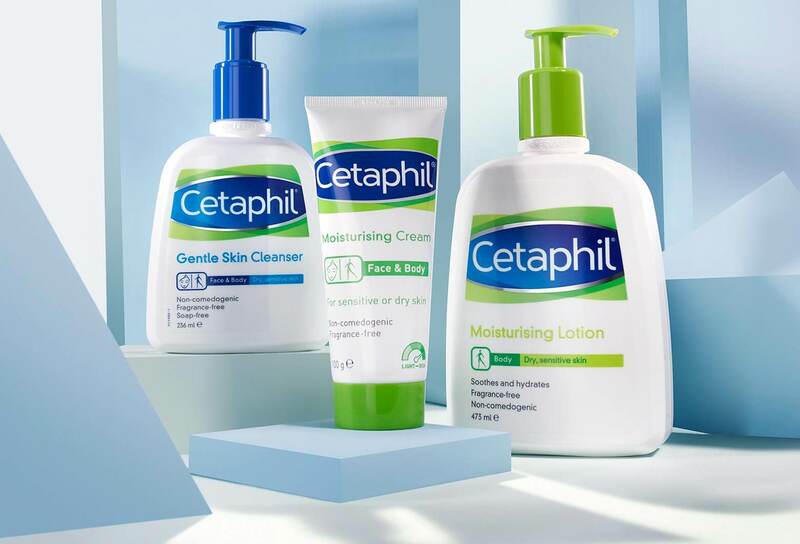 Simply enter the code – CETS3UK – before you check out and enjoy the healthy skin routine Cetaphil’s range for less! Love Cetaphil as much as we do? Then make a note of this discount code and get £3 off your next online order with Superdrug. 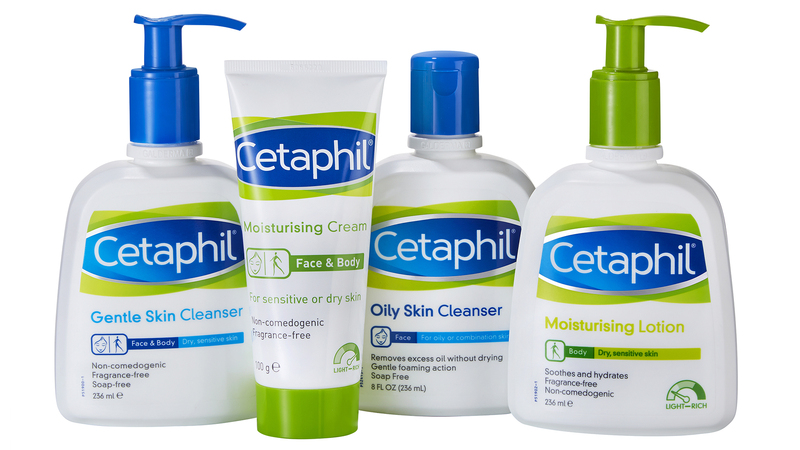 Simply enter the code –CETAPHILSAVE3 – before you check out and enjoy the healthy skin routine Cetaphil’s range for less! Cetaphil promises visible results in 30-days – or your money back! Cetaphil promises healthy skin results in 30-days – or your money back! That’s right. Cetaphil is so confident you’ll notice healthier-looking skin, it’s offering a 30-day money-back guarantee if you don’t see a difference. Simply return the bottle (even if it’s empty!) for a full refund, no questions asked! If you are not fully satisfied with results from using any Cetaphil product, a full refund can be obtained for the price paid in accordance with the following terms and conditions. 2. This promotion is open to all UK and Ireland residents who are 18 years or over with the exception of GALDERMA (UK) LTD, their immediate families or anyone connected with the promotion. No bulk or third party applications will be accepted. • A valid receipt (showing the retailer and date of purchase) for the Cetaphil product. • Till receipts will not be returned. 5. Submissions for refunds which do not include the items listed in point 4 above will be rejected and these items will not be returned. Photocopies will not be accepted. 6. The offer is limited to one money back application per household only. 7. Purchase period for refunds from 1st March 2017 to 1st December, 2017. Submissions must be received on or before 15th December 2017 and forms received after this date will be rejected. 8. Incomplete, illegible, misdirected or late submissions will not be accepted. Proof of posting will not be accepted as proof of delivery. No responsibility can be accepted for applications lost, delayed or damaged in the post. Proof of posting is not proof of receipt. 9. Refunds are available for any Cetaphil product purchased in the UK and Ireland. 11. Cetaphil will be responsible for the postage cost associated with sending and receiving as part of the refund process; this excludes packaging required to submit original bottles. 12. Full refunds will be sent in the form of a cheque made payable to the original claimant only as per the application form. Cheques must be treated as cash and cannot be reissued. Please allow 28 days for delivery. 13. By submitting a refund request you will be deemed to be bound by and have accepted these terms and conditions. This does not affect your statutory rights. circumstances arising beyond its reasonable control. 15. English law applies and the English courts shall have exclusive jurisdiction over any proceedings in connection with this promotion. 16. The Promoter’s decision is final and binding in all matters. 18. The Promoter reserves the right to verify any application including but not limited to asking for address and identity details (which they must provide within 14 days) and to refuse to award a claim where there are reasonable grounds to believe there has been a breach of these terms and conditions or any instruction forming part of this promotion or where abuse is suspected. The Promoter will be the final arbiter in any decisions. Could a beauty routine based on this super gentle skincare range be the answer to our post-winter looks? So many things can send our skin into a spin – a sudden change of weather, air pollutants like city smog and cigarette smoke, as well as certain foods if you eat too much (or too little!) of them. The list is relentless and the visible effects on our skin, especially if it’s sensitive, can be a downer. That’s why most experts recommend a simplified skincare routine as the first step towards clearer, fresh-looking and more radiant skin. But finding the right products and perfecting a routine that makes your skin happy is often easier said than done, right? With the current mood for a more natural approach to make-up – as seen on the models at the John Galliano and Elie Saab catwalk shows – it may be time to reassess your skincare regime to make sure your skin’s as healthy as possible, giving you the best starting point for creating that fresh, new look. The good news is it doesn’t have to be complicated, in fact we’re about to suggest the polar opposite with a skincare range that’s both effective and amazing value for money. Next time you’re doing your Boots haul, head straight for Cetaphil’s range of fragrance-free, gentle skin cleansers and moisturisers for face and body. Supercharged with ingredients to help skin retain its moisture, this is where you’ll find inexpensive beauty buys that are hot on the lips of beauty industry insiders, which will help bring out the best in your skin. Depending on your skin type, choose Cetaphil Gentle Cleanser, £8.99, or Cetaphil Oily Skin Cleanser, £8.99, both 236ml, and use your fingers to gently massage the cleanser over your face before rinsing off with water. Both formulas are soap-free and will lift any dirt, excess oils and make-up without leaving your skin feeling irritated or stripped of its natural oils. After cleansing, pat skin dry and apply Cetaphil Moisturising Lotion, £8.99 for 236ml, to both refresh and soothe the skin. It’ll enhance your skin’s natural moisture protection system and help restore its protective barrier. The result? Soft, clean skin to complement your move towards a more minimalist, fresh-faced make-up look for spring. Charlize Theron is one of the many A-list fans to sing the praises of this skincare line – and tbh we couldn’t agree more. Who else is with us? Cetaphil is available at Boots, Superdrug, Lloyds Pharmacy, Amazon, Tesco and independent pharmacies. CET17-02-0076 Date of preparation: February 2017.
secretWe had a chat with top beauty blogger Lily Melrose to find out exactly *how* she keeps her skin so beautiful. If theres one thing you should invest in, it’s skincare. Right?! So, we *always* welcome a lil’ skincare advise- especially from beautifully glowy people, i.e beauty blogger Lily Melrose. Just look at that skin…. We had a chat with Lily to get *all* her skincare secrets – prepare to look dewy, people! So, Lily says her secret to amazing skin is maintaining a super simple but super effective routine- ‘Cetaphil is my daily two-step cleanse and moisturise routine that always leaves my skin feeling clean and fresh’. [Both £5.89 in Superdrug]. In fact, Lily shares that moisturising is actually her biggest beauty tip- ‘Always, always, always moisturise before applying foundation! And make sure you use a good moisturiser. It really helps to make your base look more even, plus it’s less likely to dry out and look cakey later in the day’. So, Lily, what should we be moisturising with?! Well, we should probably go with her ‘ultimate hydrator’, the Cetaphil Moisturising Body Mousse– right?! Lily shares, ‘[It’s] packed with so many moisture-boosting benefits, but in a light-weight mousse, it doesn’t leave my skin feeling tacky so I can pop my clothes on straight away’. If we weren’t already sold, the £9.19 price tag in Superdrug has swayed us entirely. Turns out it’s not just the moisturiser thats got Lily glowing, as the blogger shares that her top beauty recommendation is the entire Cetaphil range– ‘So many people were raving about it before it even became available in the UK so I was really eager to try it out when it first came here’. And it looks like Lily is living proof of the power of Cetaphil, as the 26-year-old confesses ‘I used to suffer from breakouts and would smother my skin in layers of foundation. Now I wear nothing at all or a light-weight base and I feel so liberated’. The last tip from Lily? Beauty from the inside out- ‘I eat a plant-based, whole food diet and I’ve noticed that it’s really helped my skin improve. I also think cutting out dairy is one of the best skincare related things you can do! I know so many people who have reduced their dairy intake and their skin has totally cleared up’. Every so often a new beauty brand comes along and the nation goes mad for it. Cue Cetaphil – developed by dermatologists and coveted by beauty insiders – it’s the skincare brand everyone is talking about, and for good reason too. The Oscar-winning Texan talks fake tan, fooling the paparazzi and what exactly constitutes a good massage. Since her debut in Orange Is The New Black Ruby Rose has been all over social media – and for good reason, the stunning 29-year-old has been breaking the hearts of both boys and girls, it seems, with her androgynous beauty and refreshingly outspoken attitude. We asked tester Lucy Gornall to follow the advice of leading skincare experts for a month to see what really works. Looking at Amanda Holden, you’d never believe she’s 44. After the Britain’s Got Talent judge rocked up to last week’s auditions with smooth, glowing skin, fans wondered if she’s found the secret to reverse ageing. However, we can reveal that Amanda, who ditched Botox in 2012, puts her youthful complexion down to her trusty soap-free Cetaphil Gentle Skin Cleanser, £6 ­ – a go-to product for Hollywood stars Charlize Theron, Zoe Saldana and Olivia Wilde – ­ and collagen facials. ‘I swear by Cetaphil [£6]. It isn’t fancy or expensive but does what I need it to do,’ says Amanda. Top stars like Emma Stone, Charlize Theron and Pharrell Williams are reported to use this cleanser, while our TV-favourite Amanda Holden has said she likes the moisturising lotion. So, which healthy skin brand are they talking about?